Hello and Welcome to our March 2018 Financial Planning and Capital Market Update! If you are too busy to read, feel free to listen as we describe our post and thoughts in friendly podcast format. We completed the five part series … Three were let out of the box last month …. Let’s quickly review them and then the two final parts from this month! Our post here, speaks of the terrific opportunity to set aside Pre-Tax dollars to use now or later for medical expenses. As mentioned in our Post Here, there are very high limits of contribution, and the SEP can be done during mandated RMD’s, as well as in tangent with a 401k program, as long as the upper limits collectively of contribution are not violated. As the one of the original retirement vehicles and so vintage many forget (We Don’t!) 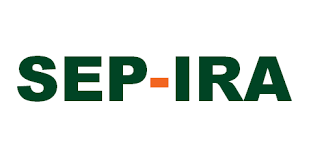 we want to remind here in our post about the IRA – Individual Retirement Account. Here in our post this month, we remind everyone to be sure and maximize your Sales Tax Deduction. Be sure to maximize this deduction as it looks like the new tax rules will greatly mitigate it’s use moving forward. We all some type of medical expenses each year. What is a challenge if determining what is and is not deductible. Are possible (check to make sure) deductions we find interesting and easily forgotten. We think patience is needed as this will take time to digest and again find our footing. For those wondering …. for now, it looks like the 200 Day Moving Average (line below our trend line) is the lower level of support … It may break, which is fine, but for now, looks like someone wants it to hold. We will keep watch and keep you updated! Have a Great Day! Talk to you at the end of April! Hello and Welcome to our February 2018 Financial Planning and Capital Market Update! In an yet to be completed series – we still have two more parts, the first Three were let out of the box this month …. Let’s quickly review! Our post here, speaks of the terrific opportunity to set aside Pre-Tax dollars to use now or later for medical expenses. In true Reach Back Tax Savings form, this contribution can be made now for last years taxes. Be Careful though, you must make the contribution by the regular filing deadline i.e. No extensions to get the benefit applied to last year. As mentioned above this account does not have to be used completely and can be delayed for highly likely future medical needs. A handy trick we have used over the years when an employer makes some type of a contribution is to remind participants that in most cases you can make up the difference and get a tax savings. Check with your Health Insurance Carrier to see if you qualify for an HSA contribution. If you do, we highly recommend you make the contribution. This beefed up IRA is another super Reach Back Tax Saver and the contribution can be made as late as your extended filing deadline. The SEP offsets income that make come to you as non W-2. Think consulting, temporary work, as side business that generates income to you directly or any non W-2 regular pay. Notice our careful heading of Pre-Tax Deductible IRA – We are not fans of the after tax IRA (contributing and not getting a write off) and in most case recommend you pass if you cannot deduct the contribution. There are more limits to a Pre-Tax Deductible IRA under current tax laws, again be sure to see our post for limits and restrictions, but if you qualify, it is worth the savings as this is another “Reach Back Tax” saving idea. Like the HSA, contributions must be made by the regular filing date- extensions do not help you. So do not wait until the last minute. In a coincidental oddity, we had been putting the finishing touches on a post prior to the ugly 10% FAST FAST correction that occurred in late January and February. In our post here, we spoke on where we may get back on trend- No one knows, of course, but simple logic of an unsustainable path was our analysis. Here is where we are now — Our Trend line is looking pretty good – So Far. Have a Great Day! Talk to you at the end of March! These Brief Multiple Part Posts are unique in that they give us ideas on ways to help our taxes for last year (2017) but can be completed now … in 2018! Let’s Begin, in no particular order of ideas … but hopefully several that will save you Tax Dollars! 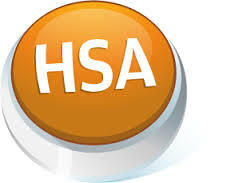 HSA’s are available to anyone with a High-Deductible Health insurance plan. The best way to find out if you have the ability to do an HSA is to check with your Health Carrier. Frequently employers may contribute towards some of these amounts. If the employer does not contribute the maximum, you are free to add your own personal “Tax Deductible” contribution … yes that is correct, the HSA is Tax Deductible. Not only is the HSA Tax Deductible, but it is one of the few items that rarely phases out due to a big income year. But Wait … there is more…. Unlike many pre-tax health plans, the HSA does not have a use it or lose it feature, meaning you can save it for future use … a feature we like as medical expenses are likely to be with us in the future at a greater level. Most plans also have an investment feature as well, making the tax deduction, and deferral all the more advantageous. Under current law, you may only make HSA contributions while you are age 64 or less. The month you turn at 65 your HSA contribution will be pro-rated for that year. Reach out to us with any questions on this …. More of these last year tax savings ideas to come! Have a Great “Less Taxing” Day! After each tax season we always feel relieved, as the pressure builds slowly but surely, much like the frog in the boiling water. This story has a better ending. Here are a few tips that are hot of the presses and good reminders for NEXT years taxes! If you can do an HSA, do one. If you are not sure, reach out to your employer and find out if you qualify, they will know in very short order. Don’t worry about using all of your HSA during the year, you will eventually need the funds for medical expenses. We prefer HSA to the FSA’s or other plans that may expire annually. However, all pre-tax plans for medical expenses are great. When using the FSA or other “use it or lose it” type of plan, just make sure you do use it and do not let those hard earned dollars expire as the calendar turns to a new year. Now is a great time to make sure you are maxing your retirement plan. Do it evenly if possible! In a perfect scenario you likely want to run out of contributions in late November or early December. There are situations such as retirement, job change or other that may make it more appealing to fund early. Do not overfund your 401k. This can be done via a job change or plan change. We have a more comprehensive article coming soon, but be reminded we do not want to over fund our 401k plans. New plans can be aggressively invested. As the amount grows, the portfolio should be slowed down and be better diversified for the long term. If you owed a large amount of money and this is occurring repeatedly, it may be time to adjust your exemptions on for your employers W-4 records of your personal exemptions. Determine what your exemptions are currently and make an adjustment down in number. After your next paycheck, extrapolate the adjustment and see if that will cover your liability. Reach out to us if you need help! If you filed and extension, keep your feet moving, especially if you had large transactions or other items that may throw you into an “owed” mode. The longer you wait the more the penalties will be if you are caught by surprise. Relax and enjoy the rest of the week and the full speed ahead into Summer ! As a reminder, we like the HSA ALOT. If you have a high deductible health plan, funding the HSA is a good idea. While you can fund an HSA next year (2017) for this year’s taxes (2016) we would recommend you not, as the recordkeeping is not always great and can cause tax return issues. Should I spend my HSA? So you put your HSA funds in pre-tax, they grow tax deferred and you draw them out without taxes as long as you use them for medical expenses. We like deferring some of the HSA for later use. If you are in a bind and have a large medical expense, certainly use it. DO NOT feel bad for not using the funds as it is a very good bet you will need them for medical expenses in the future and the tax deferred growth is a big advantage. Many plans, including our favorite the HSA Bank, allows you to invest the funds easily. Let us know if you have any questions ! Have a Great “Pre-tax Medical Savings” Day! There are fewer tax favorable investments and write-offs/pre-tax investments today as the tax code has become stricter and some of the favorable stimulus tax savings have sunset. One of our favorites tax savers DOES still exist! A Health Saving Account (HSA) is available to individuals and families who have a high-deductible health insurance plan. Not sure if you do, the safest, easiest way to find out is to make a call to your Health Insurance provider as they will know instantly. Contributions to a HSA are pre-tax and grow tax deferred until use. Best of all, no matter your income, HSA contributions are not phased out or lost at higher income levels. You can even make a 2016 contribution in year 2017, similar to an IRA, however the record keeping is challenging and we prefer correct year/non-delayed HSA funding. In addition to these limitations, you cannot fund an HSA account once you have Medicare coverage! But you can still use these pre-tax funded dollars for qualified medical expenses …. OR save them for future use ….To be continued…. Have a Great TAX SAVINGS day! Welcome to our special year-end monthly Economic, Capital Market, and Financial Planning tip of the month. Even though 2015 is gone, there are ways to reach back and help your tax situation. For those new to our writings, we touch on the most pertinent Financial “stuff” along with a video of my mug that has even more specialized details of the latest month as well as this post. These are just a few simple examples of HSA benefits — check with your health provider of you are uncertain of availability. These are just a few of the benefits of a SEP ! Give us a call if you have any confusion/questions! Do not try any of these techniques without first visiting with you professional advisor! 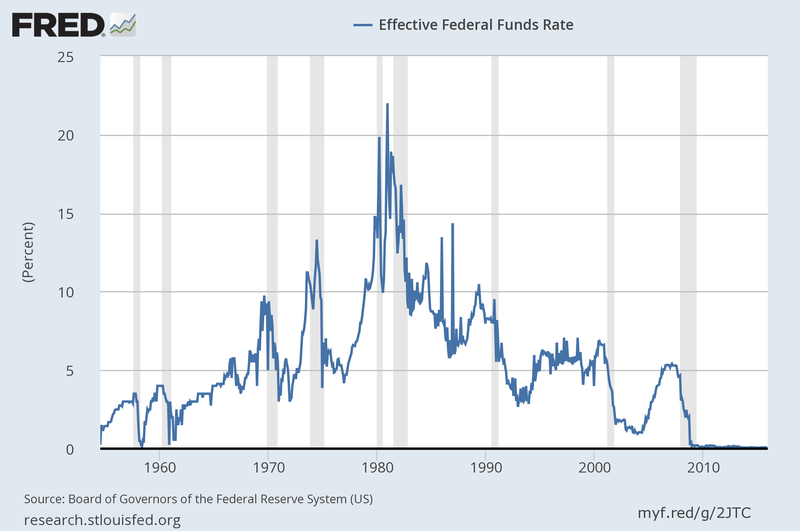 December marked the first time in almost a decade that Federal Funds Rates were raised. A longer term view tells the story. Markets have been jittery of late, and we think this is more of a time duration of our economic expansion, than anything else. 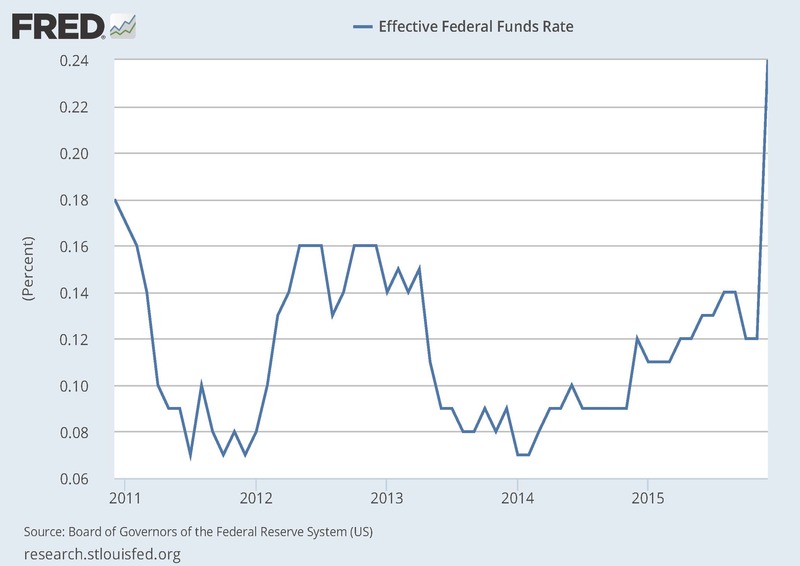 Higher rates will eventually help, in our opinion! Some great proof coming soon, when more room is available ! Have a Great Day and 2016!